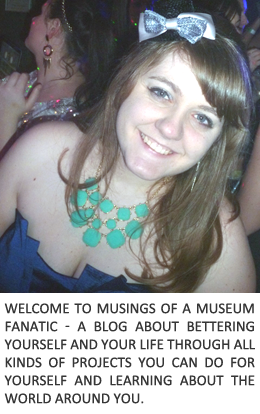 Musings of a Museum Fanatic: Girls Just Want To Have Fun! Since my weekend was less than exciting, except for the missed phone call and voicemail from Stephanie's boyfriend at 2:30 Sunday morning saying a tire had come down the highway and crushed her lady parts sending her to the ER (which he doesn't remember doing ha! ), I won't bore you with the rest of it. I want to tell you about one of my absolute favorite movies. Like most things I love it's from the 1980's and not too many people seem to know about it. It is a quirky fun 1980's girly high school movie combining all the things I look for in a movie, Chicago, girl power, cute lead guy, fun soundtrack, and dancing. Janey (Sarah Jessica Parker) is new in town and all she wants to do in life is dance on Dance TV. Her new best friend Lynne Stone (Helen Hunt) makes her go for her dreams, all the while sneaking around to practice behind her super over protective military father's back. Along the way she meets Jeff Malene (Lee Montgomery) a bad boy rebel from public school who is assigned to be her dance partner. After a rocky start these two get it together fast to become dancing and tumbling machines! The clip isn't the greatest but the sound is pretty good and if nothing else just watch it for the music. I feel like this would be perfect workout music. Like any good teen movie there has to be the jerky rich girl, Natalie Sands (Holly Gagnier). She will stop at nothing to win the spot on Dance TV, including making her dad almost run over Jeff and threaten to fire his dad. What a biatch right? The guy steps in the turkey!? How hilarious is that right? Sorry for the audio of the beginning but it gets better. All in all Girls Just Want to Have Fun is a easy going fun movie that every girl should really at least once if not multiple times. Maybe I'll have to procure a copy soon and do a giveaway ... speaking of don't forget to enter my 100 Followers Giveaway there are just three days left on it! My Five for 2013 Resolution update! Working on it, got more done on all of my organizing items! I love that movie. First watched it like 2 years ago and had no idea SJP was in it. One of the best teen movies! I need to start on my resolutions too. I have a little, but I've got to get better at it. That is an awesome voicemail to get. Hilarious.